Since nowadays more and more modern companies go with a customer-centric approach, they create their products with customers in mind. That means that all companies, especially tech companies, task their applications, operating systems, tablets and the latest smartphones with a specific market demand. With that in mind, there are numerous individual entrepreneurs and companies that shift their focus to people with disabilities with the main goal being creating adaptive devices that would help these people improve their quality of life. Modern tech and IT can solve a lot of problems that these people face on a daily basis by giving them proper tech solutions that would help them complete everyday tasks. This is what is known as the assistive technology and leading tech companies strongly believe that they can help people by making IT and modern tech more accessible to the disabled population. From bionic arms and other near science fiction gadgets to the most common devices such as robotic vacuum cleaners, the disabled population can count on advanced assistive technology to improve their lives. Based on this, here are five modern tech solutions that should help the differently abled take care of their everyday tasks with ease. Designed to allow blind people to read books, the Braille ebook reader is a true work of art. Blind people can use this ebook reader to convert written text scans and ebooks into Braille for reading. It uses Bluetooth technology to transmit electronic files and automatically identify Braille ebooks or translate regular ebooks into Braille. Users can use the touchscreen to complete pages and Braille ebook reader updates automatically. 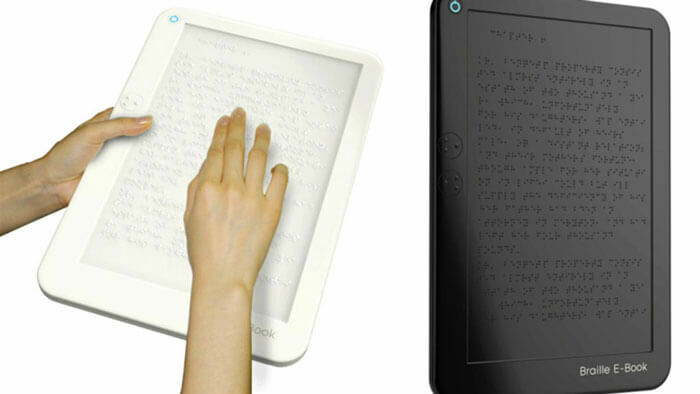 This ebook reader for blind people uses a combination of touch sensing technology and movable type printing. That means that text pages change in real time. This is a perfect tech to allow visually impaired people to read books, letters or newspapers and obtain necessary information on their own. This outstanding device automatically converts the printed content into sound signals for blind people, which means that they can read without anybody’s help. They can use an SD card or a USB to upload text, let the ebook reader convert it into Braille and they are good to go. Bringing sight to low-vision and blind people has been a mission of a lot of tech companies but the biggest innovation in this sphere comes from iOS. 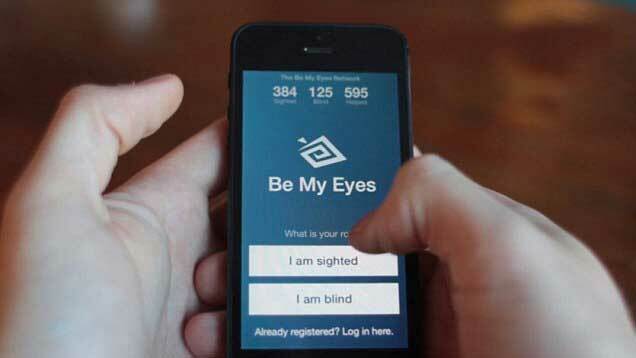 They have come up with a very useful and free application named Be My Eyes that connects low-vision and blind people with sighted company representatives and volunteers that offer all sorts of visual assistance through a live video call. It’s a way how these volunteers literally lend their eyes to help visually impaired persons solve their everyday tasks and get a chance to lead their lives more independently. Whenever these visually impaired persons need visual assistance, they send a request for a video call that some of the sighted volunteers receive. Once they receive it through the installed Be My Eyes iOS app, they can maintain communication with visually impaired people to solve problems and help them with anything from navigating new surroundings, reading instructions to distinguishing colors or checking expiry dates. There’s no doubt that the most dominant bot interface today is the human voice. The adoption of speech-enabled devices continues to grow and chatbots are now, widely recognized as the best digital and virtual assistants. Thanks to artificial intelligence, natural language processing, and smart machine learning, these chatbots speak more and more like humans. The application of these chatbots has become widely spread in every domain of our lives, from chats, home automation to customer service and engagement. Using the most user-friendly chatbot platforms such as SnatchBot.me, it’s possible to build your own best text-to-speech chatbot that talks based on the given conditions. The best thing about this platform is that it doesn’t require any specific programming knowledge to build your best text-to-speech chatbot. What makes it even better, this fantastic chatbot supports various accents, voices, and languages. It also has customizable and personalizable expressiveness, emotions, tone, and cadence so that it can adjust the tone of the conversation to the given situation and resemble human reactions even more. Thanks to the most advanced artificial intelligence and nanotechnology, it’s possible to control tech-driven gadgets and software applications with nothing but your brain. Using the power of your brain, you can now turn science fiction into reality – by fully concentrating, you can move things with your mind. Gaming and some other industries have already released some games and brain-controlled apps that allow users to control the characters with their minds. You’re no longer required to use a mouse or the keyboard to control your computer and laptop. Some gadgets such as Emotiv EPOC allow users to control the movement of their characters in games that support virtual reality. Similar to this, there are brain-controlled apps for the differently abled that help them screen mobile phone calls, compose and play music, create 3D objects, drive cars and wheelchairs, even use bionic limbs as real parts of their bodies with these new prosthetics providing a sense of real and natural touch, which is a revolutionary achievement. Gaming is a very important recreational activity for all ages, especially today when the advanced technology offers so many possibilities to all gaming lovers. Gaming has been proven as a great form of therapy for the differently abled, especially when it comes to war veterans. Using gaming in therapy sessions provide a positive result for these persons. Therefore, gaming industry found a new challenge which is to come up with good and useful solutions for adaptive game controllers that can adapt to limited multiple button pushing, as well as ranges of motion and work wirelessly. 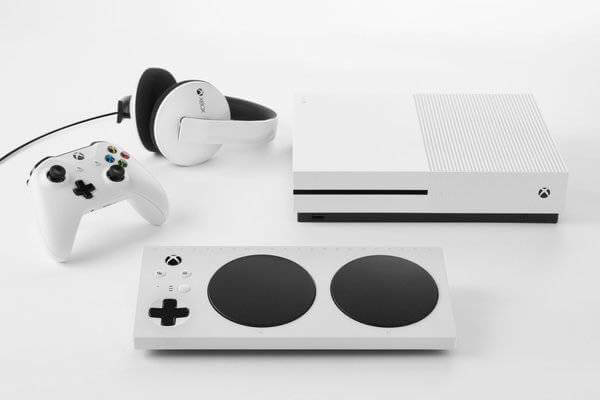 It’s not just game controllers but custom gaming setups for people with disabilities that include special assistive technology and modified controllers. 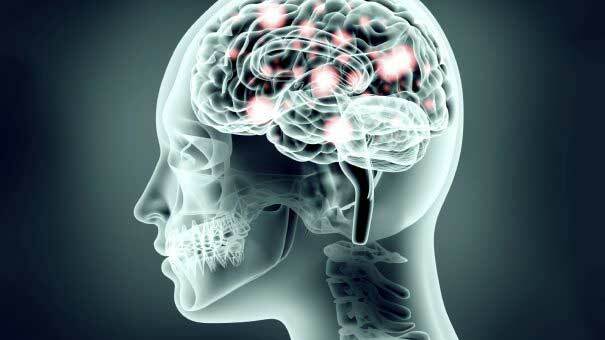 That’s how they came up with devices that the differently abled can control with their minds and eyes. This form of gaming is a great way of bringing people together to improve the quality of their lives through fun, rehabilitation, and recreation. All this modern tech helps disabled people live life to the fullest again, allowing them to fly, jump and run. It’s how their imagination comes alive and takes them places where they only dreamed of going. This modern tech gives them a way to do everything they need to live a happy and full life.